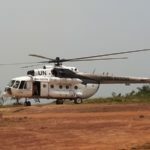 A bishop prevented by escalating violence from returning to his Central African Republic diocese has called for UN peacekeepers there to be replaced with a more effective defence force. Bishop Juan José Aguirre Munoz of Bangassou, who was speaking from the CAR capital, Bangui, also said the Moroccan troops are now being targeted by the anti-Muslim forces seeking control of the south and east of the country. The small town of Bangassou, 700km from Bangui on the south-east border with the Democratic Republic of Congo, has become the scene of renewed violence as patience with the president elected last year, Faustin-Archange Touadéra, wears thin. 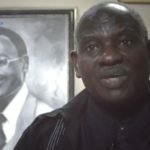 The mainly Muslim Seleka alliance of rebel groups, and their “Anti-balaka” adversaries, are fighting for control of the government and the country’s mineral wealth. In the middle of May, the Anti-balaka were reported to have taken over Bangassou. 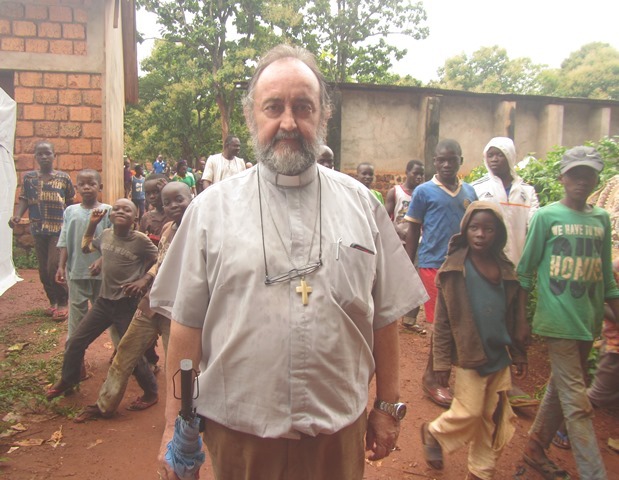 Bishop Aguirre spoke to World Watch Monitor on Tuesday (25 July), as two of the peacekeepers were killed attempting to take water supplies to the 2,000 Muslims who have sought refuge in his cathedral compound. Another was killed on Sunday (23 July). 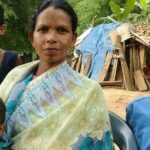 The latest violence flared up on 21 July, when a young pregnant Muslim woman was kidnapped by militias believed to be loyal to the “Anti-balaka” movement, comprised of animists and some nominal Christians. The suspected militants also attacked a food distribution outfit helping displaced Muslims in Bangassou. In retaliation, some of the displaced Muslims took hostage around 30 people: aid workers from the Catholic charity Caritas and their families. 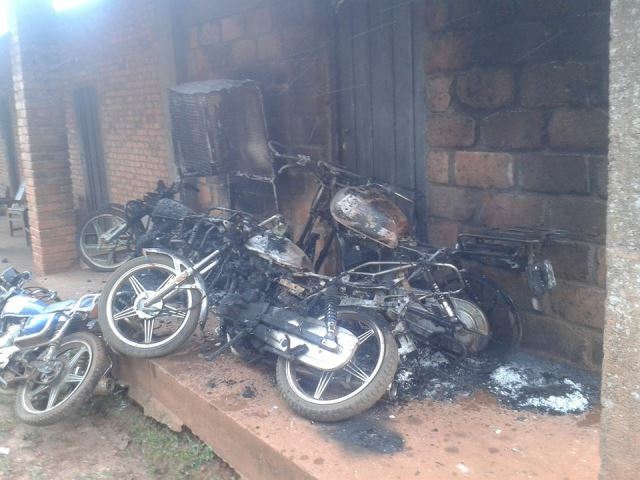 Other internally displaced people (IDPs) threw stones at cars and torched motorbikes belonging to the diocese, and inflicted some damage to the cathedral. The cathedral’s three priests fled, leaving no-one to carry on its religious activities. 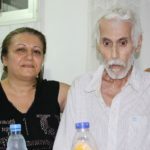 Another priest from the diocese on 22 July negotiated the release of all the hostages from both sides – the pregnant woman and the Caritas workers and their families. Distressed, the Spanish-born bishop voiced frustration that the 20 peacekeepers guarding the makeshift camp in the cathedral compound had not been able to prevent the destruction of the diocesan property by Anti-balaka militias. He said he believed the damage to be the work of “a group of 10 to 15 people”. Referring to the peacekeepers, he asked: “How should we understand what happened right in front of them?” The presence of the Moroccan peacekeepers in the city “has limitations that must be corrected”, he said. 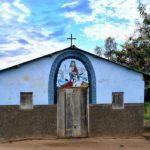 “The Anti-balaka put the Moroccan peacekeepers in the same category as the Seleka, because they are also Muslims” and regard them as having the same “cruel and criminal attitude” that they ascribe to the Seleka, the bishop said. Therefore, he said, a non-Muslim peacekeeping force would fare better at keeping the peace between Muslims and non-Muslims. Nine Moroccan peacekeepers have been killed by Anti-balaka militiamen in CAR since the start of the year. The UN Secretary-General has condemned their deaths. The bishop has received many threats “from all sides” since the resurgence of violence began in Bangassou. “When I say something about Seleka or the peacekeepers, Muslims threaten me. When I say something about Anti-balaka, they themselves threaten me,” he said. Bishop Aguirre left Bangassou early last week before the escalation of violence. However, flights back have been suspended. After the Seleka seized power in CAR in March 2013, Seleka rebels occupied Bangassou and looted 29 cars and 15 motorcycles belonging to the diocese. At that time the Archbishop of Bangui, Chief Imam, Oumar Kobine Layama, and Evangelical leader Rev Nicolas Guérékoyamé Gbangou engaged – within the country and internationally – to deliver a message of peace, urging their respective communities not to be drawn into the fighting and create a religious war. The three, co-founders of the Interfaith Peace Platform, were awarded the Sergio Vieira de Mello peace prize in 2015. While some have tried to call this a religion-based conflict, all three religious leaders have rejected that claim. He himself sheltered the Imam when he latter was made homeless after the violence erupted.